This is the latest expansion of the Porsche Classic service network for vintage cars and modern classics. 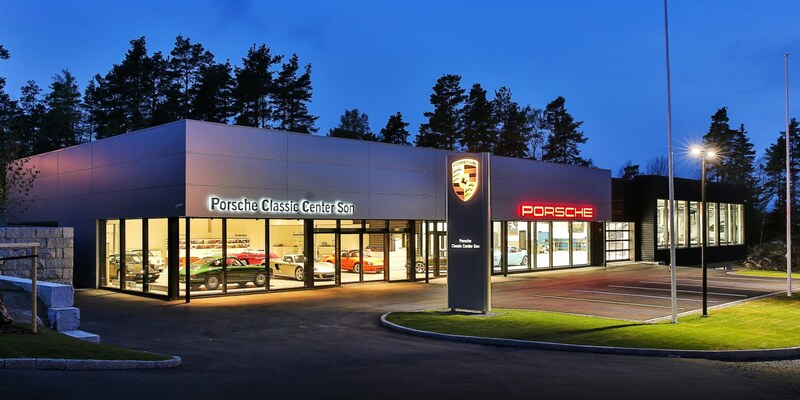 Alongside the three exclusive Porsche Classic Centres, the network includes 51 Porsche Centres that have been certified as Porsche Classic Partners. "The level of motivation of the workforce at the Porsche Classic Centre Son and the trust the classic customers place in their expertise is impressive", said Alexander Fabig, Director Porsche Classic at Porsche AG, at the opening ceremony with 150 invited guests. There are 10,250 Porsches on the road in Norway. Around 5,000 of them count as classics because production for these cars ceased more than ten years ago. "Alongside the continual expansion of our Classic range of genuine parts, the Porsche Classic Partners and Porsche Classic Centres around the world represent a crucial part of our strategy. Our top priorities are to engage in personal contact with our customers and provide support befitting of the brand", emphasises Fabig. The network currently includes locations in Germany, the USA and 15 other countries. New centres are being built in countries such as Australia and Canada. The Porsche Classic Partners offer customers with historic Porsche vehicles a local point of contact who can provide enthusiastic and - most importantly - expert service and advice. For this reason, Porsche Classic has developed a special training concept that is undertaken by employees. Porsche Classic Partners are equipped with special tools and model-specific repair instructions to allow for the best-possible maintenance and repair. This enables Porsche to guarantee a consistently high standard of quality around the world.